My Crappy Projects: Vennsday - HAPPY PI DAY, WORLD! Vennsday - HAPPY PI DAY, WORLD! Vennsday is back! And just in time for my favorite non-holiday. 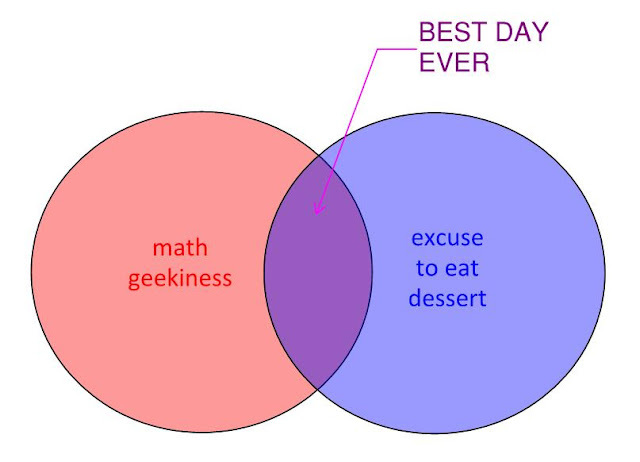 It is not every day that math and sweets are brought together. I mean, I suppose you could make one, like "Every time I MATH, I get an m&m." ...that's a great idea, actually. Someone bring me some candy! 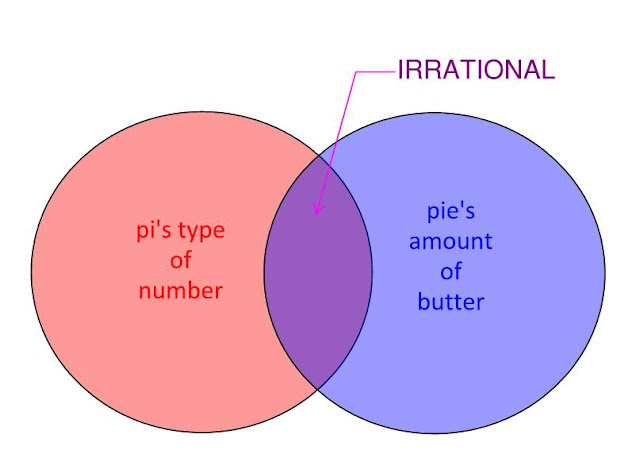 Guys, the hypothetical conversation that pi and pie have is actually really awkward because they don't have much in common. 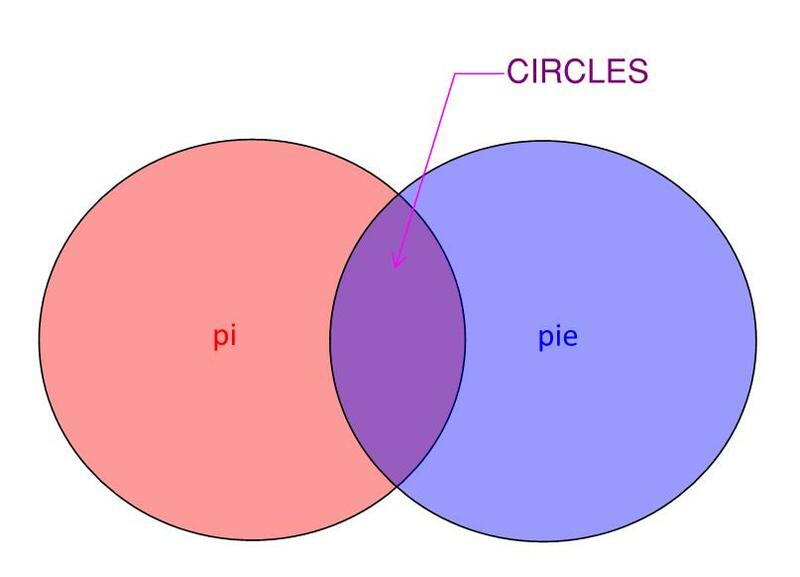 Pie: "So, circles, right?" Pi: "....yup." And then pie goes back to being delicious and pi goes back to having its digits memorized by math geeks as some kind of useless badge of honor. And the sexual tension between them goes un-addressed. It's the irrationality that makes it delicious. 1If you wait long enough, the answer to all three will be zero and also "uhhhhh my stomach"
2I learned how to do mouseover text on images. Enjoy!